But, as people are getting more health conscious they have started checking out nutrition labels. 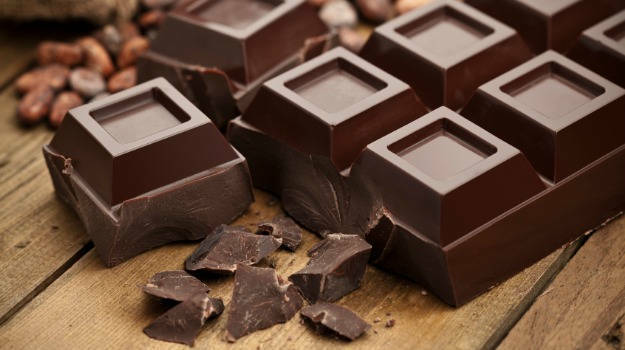 Having said that, the food companies are no less and have gotten smarter than the consumers and have started choosing different ways to entice the consumers in to buying products by making them believe that they are choosing healthy food. 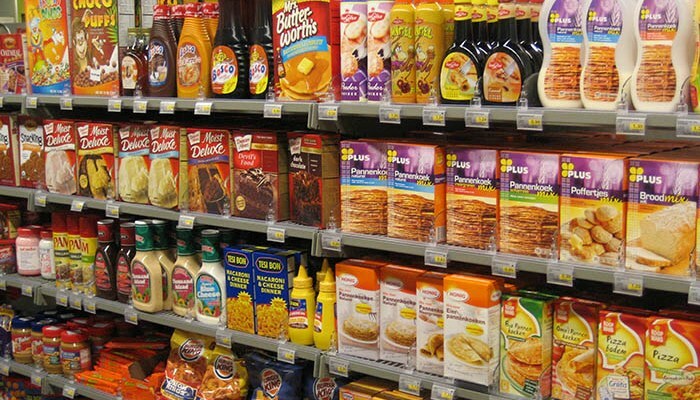 But, in reality, the consumers are just buying the same unhealthy food with fancy and attractive packaging. Let me give you an example to explain the above better- It’s no secret that Bollywood and Cricket is a religion in this country. These stars are worshipped like god. Probably one of the reasons why companies bring on board film stars and sports stars to endorse brands. Stars endorse anything from perishable products like food and beverages to non-perishable items such as hair oils, cars and mobiles. The advantage of getting a film star or a sporting star on board is that they will prompt the consumers to buy the product. Anything recommended by our favorite star whether or not it’s required or beneficial to you, a consumer will buy the product only because it has been endorsed by the Star. Given the above example, you would realize how important it is for us to read the nutrition label on each product. As per my knowledge and the studies undertaken by me, here are a few tips I can safely recommend for packaged food and beverages. # Always avoid products that contain artificial flavors, partially hydrogenated oil, Trans Fat, Salts, High Fructose Corn Syrup. # In grain products try to get the product which has at least 2 grams of fiber per serving. Beware of “whole grain imposters”. Choose whole grains and fewer refined grains. She is extremely hard working and does not give up easily. She does not like doing anything out of the ordinary. She loves to get out of her comfort zone and challenge herself. She started trying herself at outdoor activities such as trekking just three years ago. Today, she is lighter and fit with loads of stamina and very comfortable in the outdoors. Now she is getting ready for her next big challenge- trekking to Everest Base Camp. Let’s hear Harpreet Gondal’s story in her own words. 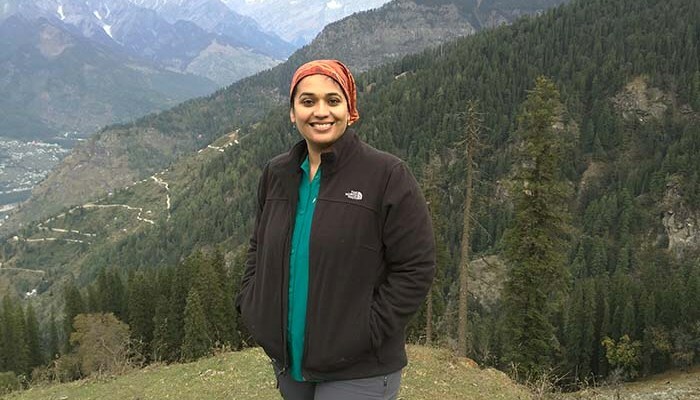 It all started with me wanting to go to Hemkund Sahib- a holy place for the Sikhs which is at a fairly high altitude in Uttarakhand, so I started trekking in the Sahayadris and working out regularly to be able to make the holy trip. 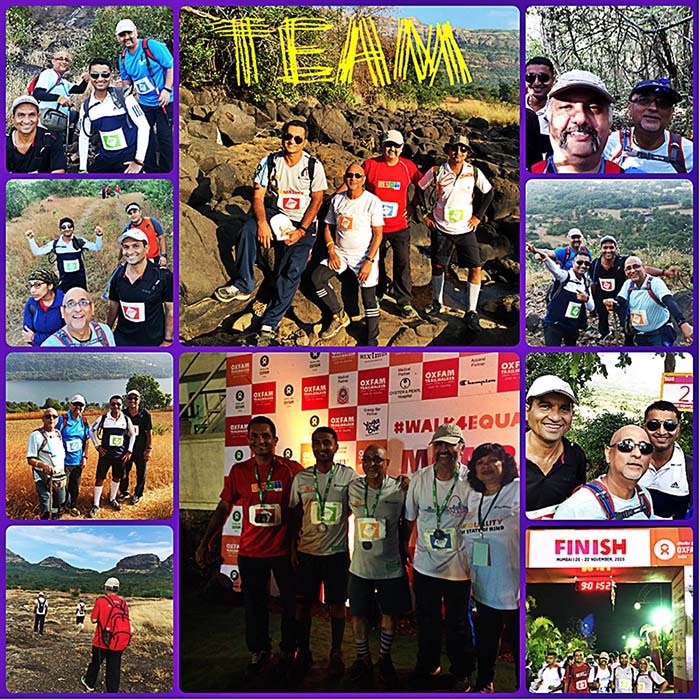 I started training with a personal trainer from January 2013.Unfortunately, the Uttarakhand landslide led me to cancel my plans and then came Oxfam Trailwalker in the picture. So, I focused my energy to prepare for the 100km trail walk with a bunch of girlfriends. We started trekking once every month and proudly called our group the “Trekkerinas”. Ever since I started working out there has been no looking back. GOQii has helped me to further strengthen my resolve to exercise every day. Having successfully completed the trail walk only led me to believe that I could do more. Thereafter, I did two 10km runs and finally the 21km in January 2014. I got encouraged to do more and that’s when a bunch of us GOQii players decided to go do the Markha Valley Trek in Ladakh. It was our first time to Ladakh and high altitude trekking. Though I completed the trek, I would not term it to be a success for me. But, it did teach me a lot about myself and my body. This is where my coach and the GOQii team (Anusha and KK) were very helpful. Just watching and listening to people like them made me believe that I should keep training and keep trying. 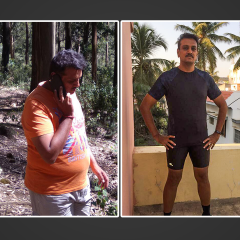 This motivation and the sheer will to keep going and not let being a mom, wife, being overweight etc pull you down was all thanks to GOQii. 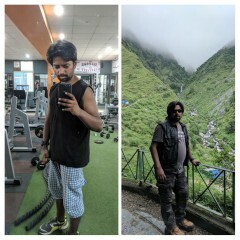 When I got on to GOQii sometime around early 2014, my health goal was to become fitter to be able to do all the adventure activities that I strived for. That’s been my sole goal. Of course, I want to shed the extra kilos but, being mentally and physically stronger has always been a bigger goal for me. I also wanted to make a permanent lifestyle change, I have oscillated enough with yo-yo diets and wanted to get over that phase. 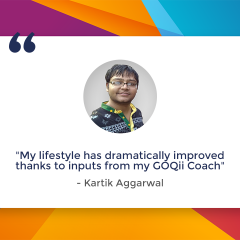 GOQii has helped me make a lifestyle change and now I feel far more comfortable with my body, my self-image, more peaceful and happy with the way I lead my life. With GOQii, I have realized that you shouldn’t wait to shed that weight and then attempt the adventures you always wanted to do, there is no right time, just go ahead and start doing why you want, you will learn in the process but, of course, one must focus on training to their best capacity and capability. GOQii has made me conscious about the correct food habits to adopt not just for myself but for my children as well. I am more aware and conscious of my physical well-being and I absolutely love the control I have on myself now. As for EBC, I would say whatever I choose to do, I do it to get out of my comfort zone. I have been looking forward to this challenging trek. Going to the mountains for me is a ‘Soul Spa’. 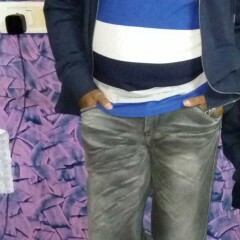 Harpreet is extremely sincere and dedicated. Knows what she wants and tries her best to achieve it.We were working on her inch loss and she desired to become fitter and lighter so that she could trek easily. She has been truly dedicated to workouts from the start. Currently, she is working more on her endurance and strengthening exercises, – there’s a good combination of workouts to be done for a longer duration, low intense to improve stamina and endurance and strengthening exercises to help improve lower, upper body and core strength which is very important when you trek. But, not to forget about the rest period that is required for complete recovery of muscles.Nutrition wise – We ensured healthy balanced meals throughout the day. Concentrated on good pre and post workout meals. While it may seem like an insurmountable hurdle. A wall that cannot be breached, there are thousands of diabetics with good testimonies. Aged people who have lived with diabetes so much so that they sometimes forget that they have diabetes. How can this be your testimony? Well, the pointers below show some of the things you can do to kickstart your own journey to overcome diabetes. Yes! These tips will get your campaign against Diabets underway and you will begin to see a big difference in no time at all. Of course it’s not going to be easy to let go of all your favorite meals. But, no one is saying you have to get rid of them all at once. You’ve just got to be smart about it. Do not make diabetes “complex.” Make eating “complex” to keep diabetes “simple.” Just as in everything else, a lot of effort has to go into your overall lifestyle if you are to conquer diabetes. Just be conscious and you’ll make headway. To eliminate diabetes, take a step towards improving your eating habits and you’ll feel a lot better generally. 1.Eat Complex To Live Simple: Eating complex doesn’t mean you have to stop eating everything. It simply means make your carbs complex over simple ones, as these are the best type of carbohydrates for diabetics. Complex carbohydrates digest slowly in the body and maintain steady glucose levels in the body. It surely can be very difficult to do away with all your favorite meals. Instead of doing away totally, you can instead opt for close alternatives as shown above. Choose the healthier version of your favorite meals and you’ll thank yourself for it. 4. Say “NEVER AGAIN” to Trans-fat: Trans-fat is basically obtained chemically by the hydrogenation of oils. It will make your condition worse! To avoid trans-fats, avoid these; Chips, Cookies, Pasteries, Margarine. Glycemic Index – Glycemic index refers to the rate at which a particular food raises our blood glucose levels. Foods with high GI spike our blood glucose level and vice-a-versa. Again, fiber is your hero! Fiber rich foods have lower glycemic index – another reason why you should take them. Low GI Sources- Whole nuts , whole cereals, cherries, oatmeal, apple,vermicelli,whole dals,prunes, yoghurt plain, soymilk,whole milk,peaches,channa dal,peanuts. 6. Eat small but frequently – The logic here is, heavy meals spike our glucose levels. So small frequent meals will keep our metabolism high, while maintaining glucose levels. Exercise is important as it helps to maintain IBW which is very important for diabetics. Exercising helps your weight loss efforts, and is especially important in maintaining IBW. Except for some fruits like mango,banana,chikoo; one can eat any fruit but in prescribed amounts only. 9. Use functional foods in the diet– These foods provide “extra benefits” to your diet. Apart from nutrition, it provides you a number of benefits. Functional foods are full of antioxidants, unsaturated fatty acids and are also rich in fiber. So do not forget to include them in your diet. Foods like mustard seeds, flax seeds, fenugreek seeds, curry leaves, cinamion,cloves, chia seeds. Am I taking too much of alcohol? If the answer is no, then you are okay. My feet are clean? No? Then rush to the bathroom! Am I feeling stressed? If your answer is yes? Chill with music and take deep breaths. Remember nothing comes at the cost of your health and ensure you feel some relief. Have I checked my weight? Now,time for sleep… Proper timing is essential. Get good sleep. You can gain control over diabetes by living healthy. Eating in moderation and eating healthy can go a long way in really giving you good results.